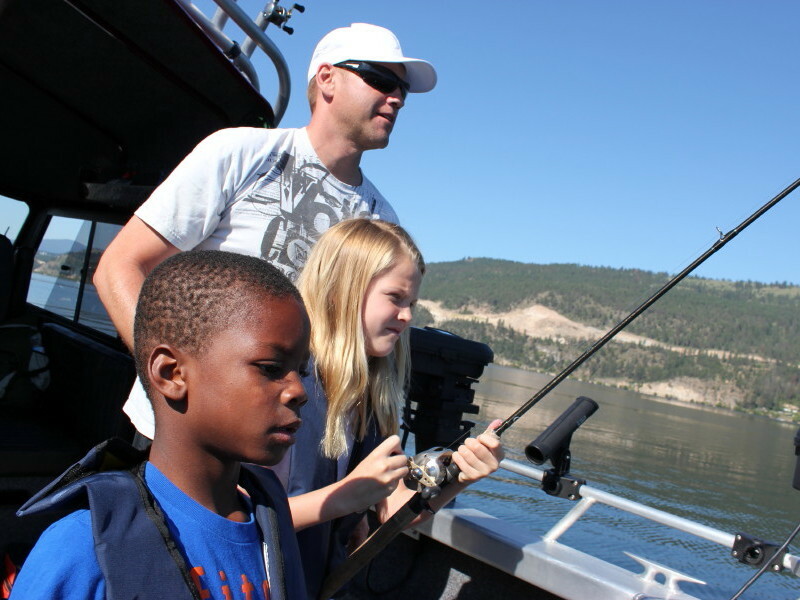 Flying over the Okanagan Valley en route to your fly fishing lake destination…what a great way to spend a day in the great outdoors with family and friends! 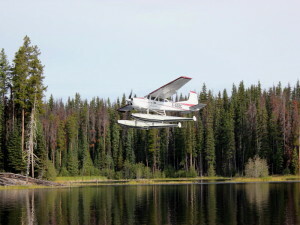 Our “Fly & Fish” float plane fishing charters start in early June and run through until the end of September. 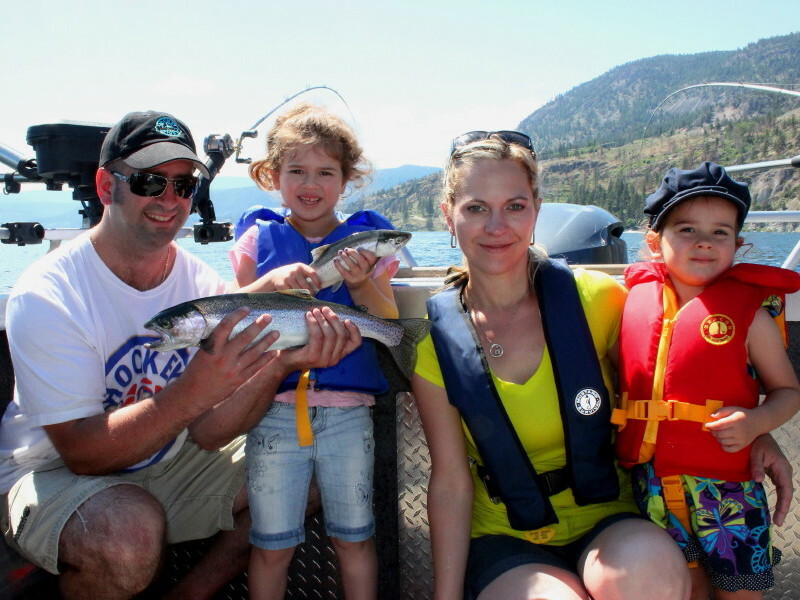 Your flight departs from the Delta Grand Hotel in Kelowna on Okanagan lake at 8am. After your scenic 1/2 hour flight you will be met at the lake by your guide and boat where you will fish for 3hrs. 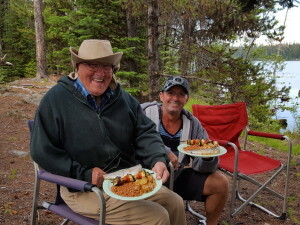 then enjoy a shore lunch of fresh caught Rainbow Trout, roasted cheesy bacon potatoes, vegetable kabob, baked beans and dessert. Your drinks of water, juice and pop are included. 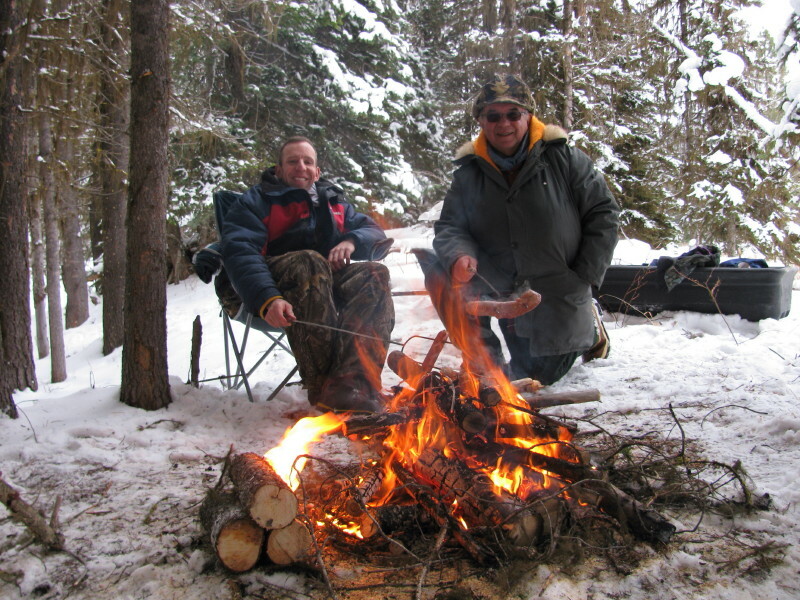 After shore lunch you will continue fishing until 3:30pm. 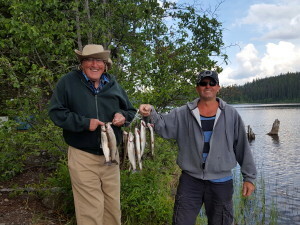 You then have the choice of returning via float plane (extra cost) or returning with your guide back to Kelowna in our truck at no additional cost. 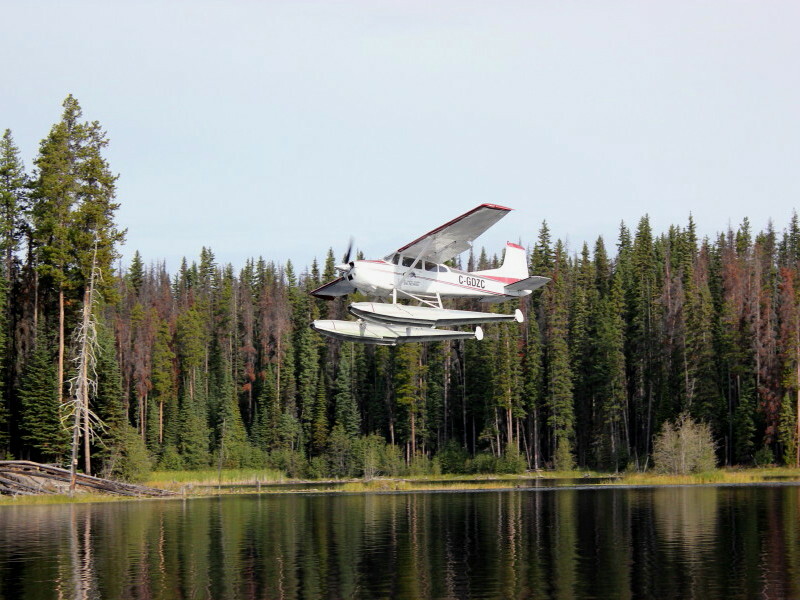 Float plane trips are dependent on the weather and are at the discretion of Air-Hart Aviation. 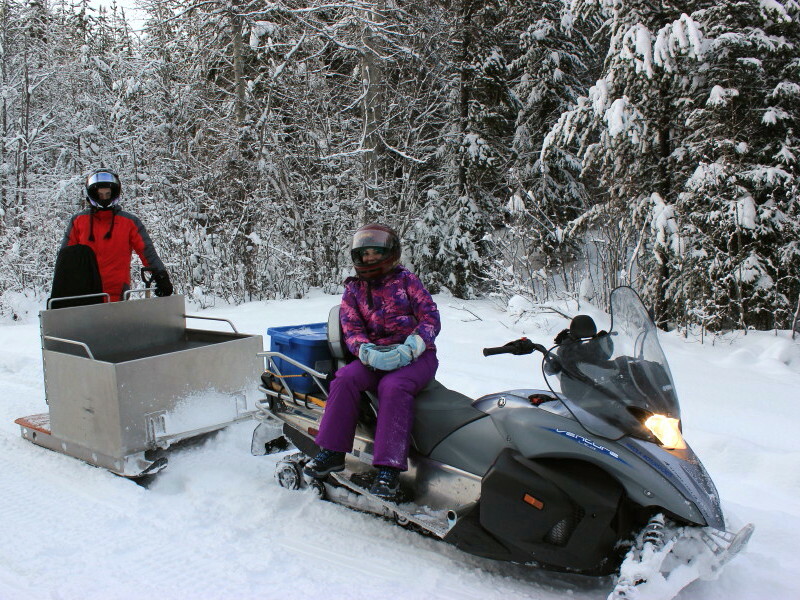 Due to the aircraft’s weight capacity we are limited to 2 passengers or 3 if the 3rd is a child. As well, in some instances having the option to return via float plane might not be an option due to the elevation and size of lake. These will need to be discussed when booking the charter with us. 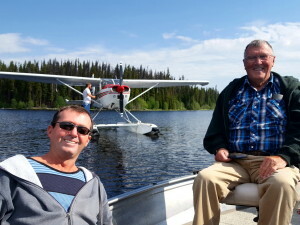 Keep in mind, because of the limiting weight factors that come with flying float planes we cannot fly with you and bring the boat and equipment. Because of this, we are unable to provide a trip to a “fly In” only access lake. 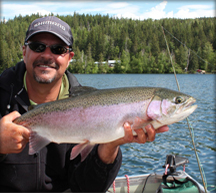 The lake we fish is very scenic and we’ve witnessed Moose and Deer feeding or crossing the lake while fishing. Although the average fish we catch are in the 12″ to 16″ range we usually catch good numbers and they make for a tasty shore lunch! 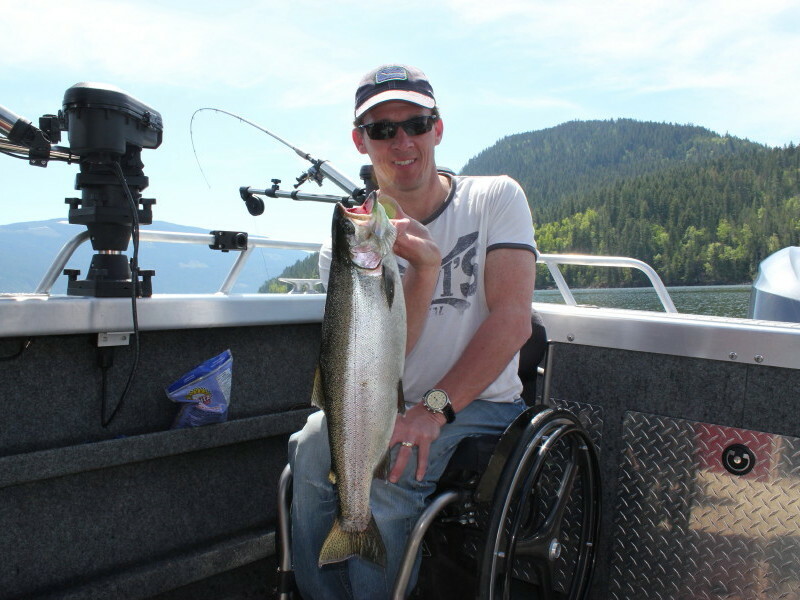 Our fishing methods used are fly fishing or trolling if you should not wish to fly fish. Should you wish to take some fish home for the barbecue, we provide cleaning and bagging of your catch. 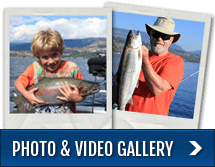 Catch a Memory today with Rodney’s REEL Outdoors!